TokyoBunnie: Follow the White Rabbit / Emily Bee Giveaway Ends TONIGHT! Follow the White Rabbit / Emily Bee Giveaway Ends TONIGHT! 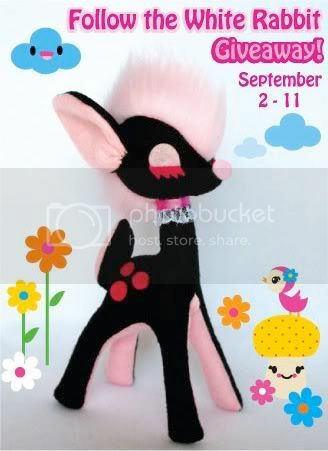 Don't forget to enter the super darling Follow the White Rabbit giveaway to win this deer! ENTER HERE! Comments must be posted by midnight, tonight PST.